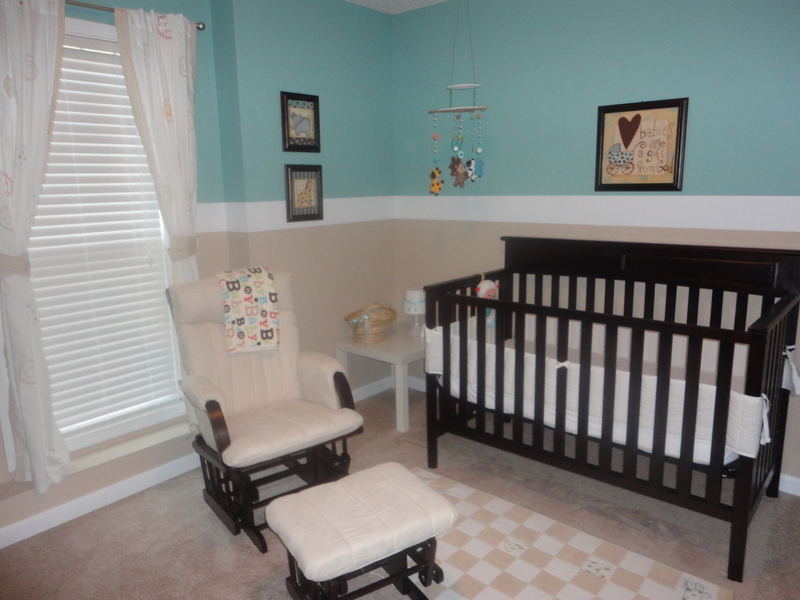 We decorated this room for our first little boy. Wanted it to be colorful and "kiddy" but still able to grow with him. Plus I tried to stay away from the easy baby boy blue. We started out with the pictures from hobby lobby and worked out from there. I'm still adding more stuff the more we get settled in and use his room more. Had alot of fun working on this room! Pictures we found at Hobby Lobby and pics of other nurseries on the net.. I got the diaper cake at my baby shower and that kinda got me to go from just teal n khaki we originally started with and branch out to add little pops of color like orange and green, hehe I still havent taken my cake apart either..
Dont get too stuck on a theme, use little pops of different colors and have fun pulling it all together. Love this! Very sweet and simple. I love traditional.